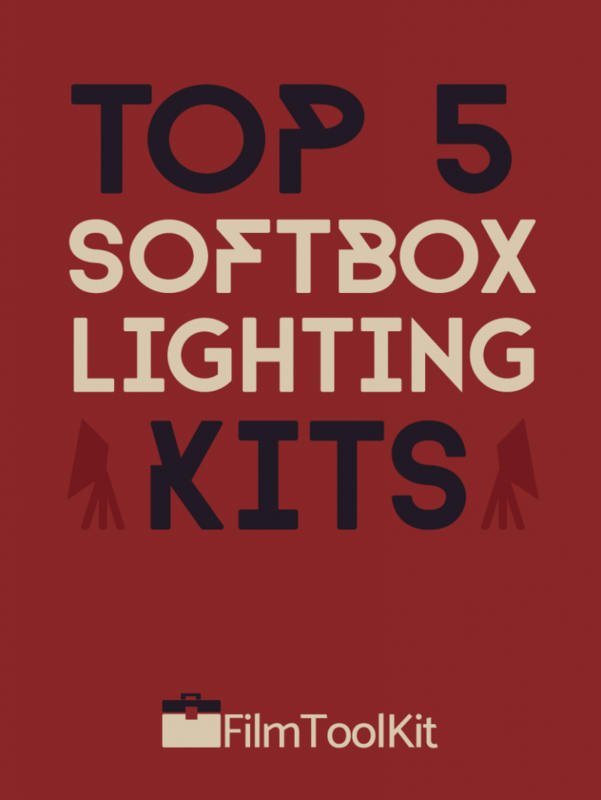 If you’re starting a YouTube channel, improving your photography studio, or just looking to expand your film arsenal, the Softbox lighting kit is an essential tool. Today we’re going to help you find the best Softbox lighting kit on the market, and teach you how to make best choice for you. After our list, we’ll do a rundown of all the essential features you should look for in your Softbox, how to pick the right Softbox for different shooting situations. We will even show you how you can make your own DIY softbox light! Note: A Softbox lighting kit is a great all-around general purpose light. There are other lighting devices that have different strengths and weaknesses and a complete lighting collection needs a wider variety of lighting options. To learn more about these different options, check out our guide to the differences between softbox lights, ring lights, and umbrella lights. 1 What Does A Softbox Diffuser Do? 3.1 What Size Softbox Do I Need? 3.2 How Many Softboxes Do I Need? 3.3.1 Octagon Softboxes are specialized for human photography, but are less versatile. 3.3.2 Square Softboxes are great jack-of-all trades lights. What Does A Softbox Diffuser Do? Softbox diffusers are boxes that are placed around a light that use a scattering material to create a soft diffused light. They are lined with a reflective material on all but one side, are often utilized to create indirect lighting. Here are some of the benefits of softbox lights in comparison to other lights like umbrella lights or ring lights. Easy to repair if broken, just replace the bulb or tape the rip. Easy to assemble, set up, and pack away. Great in conjunction with other lights. Works great for photographing products or other small objects. An essential tool for portraits. Can provide a wide range of softness and hardness levels with proper use. Keep in mind, if you are doing lighting work in the film industry, you’ll likely need some more heavy-duty equipment than what we have reviewed here. These are all perfect lights for YouTubers, portrait photographers, indie filmmakers, and even small production studios. If you’re working on TV shows or commercials, you’ll likely be renting multi-thousand dollar lights and placing diffusers over them. 3 Softboxes measuring 20″ x 28″, two of which have 5 bulb sockets, and a “quick setup” softbox with one socket. 11 45 Watt CFL 5500K Daylight Bulbs. 1 Large carrying bag that fits all of the above. The versatility that this kit allows makes it our number one recommendation for photographers. The boom arm gives you access to a much wider range of possibilities, like bodybuilder photography or dramatic product photos. We discuss the applications of an overhead light at the bottom of the page. We also think that if you are an indie filmmaker looking to expand their kit, this is an excellent choice, as the three lights will allow you to create a wide variety of compositions in your film. The two primary Softboxes have slots for 5 bulbs, making their maximum brightness output much higher than any of the other lights on this list. Each bulb even has its own individual switch so you can carefully adjust the brightness of your Softbox. The total weight of the carrying bag with all equipment loaded is just around 26 pounds, making it easy to load up and bring to anywhere you need to shoot. While the stands will not compete with dedicated stands that cost hundreds of dollars, they are more than sturdy enough and if you take good care of your equipment you won’t have any issues. Everything can be assembled by a total novice in less than 15 minutes, making them easily accessible. The quality of these lights is by far the most professional of all the products on this list, and this easily wins our award of best all around. If you’re trying to set up a nice home studio, or are looking for a more complete option for your photos or videos, this is the best option for you. This offering is a huge bundle including tons of accessories that will turn any room into a professional media studio. A Green, White, and Black backdrop with support, allowing you to take professional studio photos, or even green screen videos! A Large carry bag that can fit all of that stuff! Maybe you don’t want some of those things, or already have them. Just pick one of the other options we’ve presented. However, if you have no equipment and are looking to get everything you need for your YouTube studio in one click, this package is the best of the best. It’s really cheap at under $150, so obviously you’re not getting carbon fiber gold plated material, but for a small home studio all of it works great. The reviews are excellent, with most users praising how amazing the value is. The equipment is all functional and works really good when you factor in the price, and it has everything you need to get started on your amateur productions. The light and backdrop stands can feel a tiny bit flimsy at times, but when weighted down properly they feel very sturdy. Some users have also complained that the lights could not reach the brightness level they desired, so if you think that might be a problem, go with the Fovitec model and purchase your backdrops and umbrella lights elsewhere. If you would like to learn more about how the umbrella lights can help your kit, there is a section in this article discussing their applications. It’s the #1 best selling Softbox on amazon, so obviously LimoStudio knows what they’re doing. We think that this is the best option for those of you that are looking for a cheap multi-light solution for your videos. The stand is adjustable between 50 and 86 inches, and the two included Softboxes are on the smaller side at around 24″ by 24″. While not the lightest option on this list, the Softboxes are incredibly light at only 10.4 pounds, making them great for content creators on the go. Despite their light weight design, they are remarkably stable and sturdy! Many reviewers have cited that the lights are very difficult to tip over, and are not top heavy in the slightest. Included are two 85W 6500K CFL bulbs, which will not reach the brightness of the aforementioned Fovitec kit, but will definitely get the job done for smaller content creators. In terms of criticism, a few users have said the power cord is a bit short, but we don’t think it’s that big of a deal because you should almost always be working with extension cords anyways. The stands feel a little bit flimsy when full extended, but if you’re using them at home alone rather than a crowded film set, you’ll probably be okay. This is one of the best lighting kits on our list, and it’s our pick for the best portable Softbox lighting kit on the market! It’s very affordable at around $60 dollars, is simple to set up, and is an excellent choice for anyone looking for an extra cheap pair of lights for run-and-gun shooting. This lighting kit is our recommendation for the best portable Softbox lighting kit because when stored away in it’s bag, it only weighs 9.8 pounds! The Softboxes are also very portable at only 20″ by 28″, a great size for head shots or mid size portraits. Despite the small size, the build quality has been consistently praised. The 80 inch stands feel very light, but durable. We do suggest weighing them down with a sandbag or other weight if shooting in environments where they can be knocked down. A 5 pound stand can only be so sturdy. The two bulbs are 85W 5500K daylight bulbs that last approximately 8000 hours, and are fairly inexpensive to replace. Many users have praised the brightness, and are satisfied by the value of this purchase. Plus, the EsDDI 800W lights come with a worry-free 12 month warranty in case there are any defects with the product, so you can buy with confidence! If you’ve already got a few lighting fixtures in your kit and you’re just looking for a single Softbox, this is a great light at a great price. This is also the perfect choice for you if you’re just a casual YouTuber or photographer looking to dramatically improve their videos for a low price. For less than 40 bucks you’re getting an excellent, durable, high quality light that will do everything you need it to if you are a hobbyist or “pro-sumer”. This Softbox is the only one we’ve recommended with an octagon shape, which is ideal for shooting humans. We discuss why at the bottom of the page, but if you’re buying one of the other items of this list and want to throw in an Octabox for portraits, this is an excellent pick. The tripod stand is adjustable up to a maximum of 86 inches, and the octagon has a 26 inch diameter with an 8.5 foot long power cable. The included bulb is a 105 Watt CFL, which is very energy efficient, replaceable, and outputs 6500K color. There are very few critiques, and the only negative reviews we could find were based off of defective models, which is easily fixable via Amazon’s return policy. The bolts feel a little cheap, but if you don’t handle it too roughly you won’t have any problems. If you’re looking for some cheap illumination and don’t need to do fancy complicated dramatic lighting, go with this one! 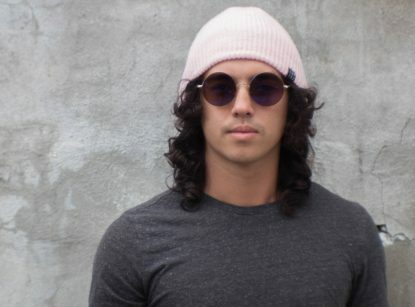 What Size Softbox Do I Need? One of the most important decisions you’ll need to make before shooting is what size of softbox will work best for the situation. Softboxes illuminate the same amount of space regardless of size; the difference is the concentration of the light. You can further concentrate this light with the use of a Softbox Honeycomb or Eggcrate grid. Larger softboxes will give you a much softer light with a wide spread, giving a look similar to daylight. This requires more light output to sufficiently fill the Softbox, and will give your shots a much more natural look. On the other hand, a smaller Softbox will give you a more harsh concentrated light with more contrast and shadows, resembling focused artificial light. This will give your photos a much more dramatic, stylistic look with more mood. Generally, you’ll want a softbox that is around the same size as your subject. 18-24″ is a good range of sizes to shoot head shots, while full body shots and wider compositions could require multiple Softboxes 48″ and larger. Do consider that larger boxes are more difficult to transport and set-up, and are more susceptible to getting knocked down in the wind. Summary: Smaller = More concentrated and dramatic, Larger = Broader and more natural. Consider size in terms of practicality too. How Many Softboxes Do I Need? If you’re shooting a close-up of your face or of some product you’re reviewing, you can probably get by with just one Softbox. But aside from that, if you want a strong lighting set-up, you’re going to usually want more than one softbox. Here’s how many you should have for several shooting situations. For many non-professional applications, it is likely that one or two Softboxes will be enough. Most of our recommended lighting kits include at least two. You can accomplish a lot with one, but having two is necessary to combat issues you may encounter with shadows or harshness. Desk Vloggers, streamers and hobby photographers can feel safe with one Softbox, but two is always better. Having three Softboxes is about the most you will ever need and is great if you always want to be covered for every situation. You won’t be able to achieve a true three-point lighting setup without a third light, so if you are a filmmaker, we think it would be wise to invest in a three-light kit. The packages we recommended that came with a third light also include a boom arm, allowing you to hang a Softbox overhead and open up a whole new world of possibilities. The overhead light is an essential tool to create shadows where you want them, and eliminate them where you don’t. 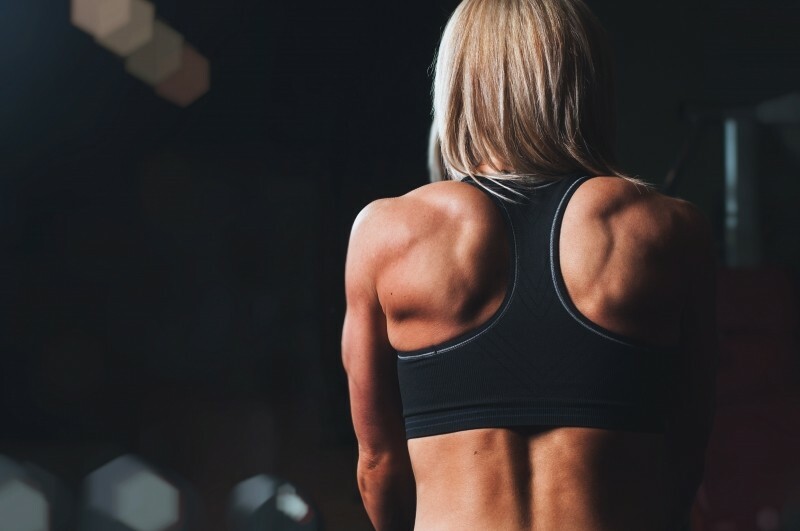 Muscle photography, portraits, and movie posters all utilize overhead softboxes, and you may want one or two lights to fill out the shadows in the front. Summary: If you’re just looking for something because your videos are too dark, 1 Softbox is fine. If you’re interested in experimenting with different lighting styles and techniques, you’ll definitely need 2 or 3. We only recommended one Octagon Softbox or “Octabox” on this list. All of our other options are either square or rectangular. So what’s the difference between a Softbox and an Octabox? They work in nearly identical ways, but have a few subtle, slight differences. Octagon Softboxes are specialized for human photography, but are less versatile. Octagons are the best choice when taking portraits. The catchlights, or eye reflections, created by octagons are more circular and natural. People also have round faces that will be more evenly lit by a round device than a square one. Many people utilize Octaboxes to make eyes pop and sparkle similar to the way they do in sunlight. They are marginally more difficult to set up, and are slightly less effective at lighting non-human subjects, but are definitely capable of doing everything a square Softbox is capable of doing. Square Softboxes are great jack-of-all trades lights. Square softboxes are easier to set up, as less sides mean less points of failure. The catchlights in the subject’s eyes are rectangular, and may be considered less pleasant by some photographers. Clearly, this is an issue only present in portrait photography, and for almost all other types of photography, you will notice no difference between the two. If you’ve read through all of this and can conclude you don’t have the money to afford a Softbox lighting kit, we have a DIY solution for you. Here’s a video we found from filmmaker Dustin McLean that will show you how you can make your own Softbox lighting kit for under $7!